Digital Marketing Expert, Bloggers, SEO Analyst & Content Creator. Amin is a seasoned professional in the web technologies and the search industry from BANGLADESH. He has a long track record of successfully promoting and spreading awareness of products or services through online. He has extensive experience of Google Analytics, Google AdWords, SEO, SMM, SEM, PPC campaigns, Email Marketing, Web Design, and Online Brand Management. As a true professional he can take over the drive needed to achieve targeted results and secure the best possible ROI on any marketing spend. Amin has been providing services as an Internet Marketer for last seven years. He started his online career as an SEO professional. A deep passion drive him to current success. He has a long history of success and in-depth knowledge of Blogs, Web Analytics, Competitor Analysis, Market Research, SEO, SEM, SMM, Email Marketing, Affiliate Marketing. 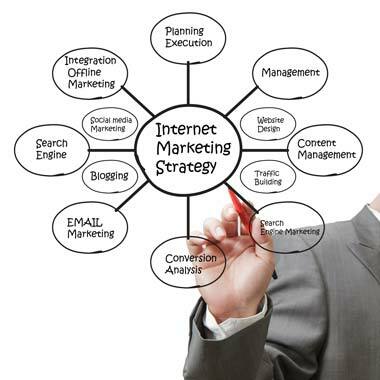 Presently he develop holistic online marketing strategies to increase site traffic and improve website usability. He always like to follow organic strategies. A good creative sense always impel him to create something different and unique. He has excellent graphical skills, creative discretion and good colour sense. Specially he is expert in Creative Logo Design. He also able to provide custom design work like Businees Card, Flyer, Banner etc. Higly skilled in Adobe Photoshop and Adobe Illustrator. Able to work under pressure, meet deadlines and multitask. Copyright © 2019 by Mohammed Nurul Amin.